Filter by Account Format Standard Deluxe Ed. Collector Ed. 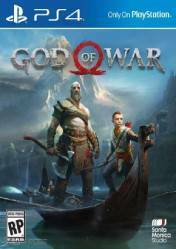 The new release, the fourth, of the legendary saga God of War is scheduled to be launched on April 20,2018 and promises to be the most spectacular delivery of the franchise, both graphically and in gameplay. Exclusively for PS4, God of War will place us in a new beginning of the saga, with an older Kratos and a son in charge. Living as a man outside the shadow of the gods, Kratos must adapt to unknown and dark lands, with a clear ambience based on Nordic mythology, unexpected threats and a second chance to be a father. Together with their son Atreus, they will venture into the wild Nordic scenery and fight with all kinds of creatures from the depths of hell. The gameplay of this new release of God of War also changes completely, as Kratos now possesses not his old weapons but an axe, called Leviathan, and a shield. With his new weapon, Kratos will be able to freeze his enemies to give them the final blow and tear them apart into a thousand pieces, as well as throw it at will. Our son Atreus, who will accompany us in our adventures, will be able to evolve and acquire abilities and powers that will be of great use to us. Absolutely fantastic game, not really any bad things to say about this one! A great addition and evolution to the God Of War franchise. This game is fantastic! I was hooked from start to finish. I can't wait for the next one to come out, though I know we may be waiting a while. It's been a while since I was this attached to a game.